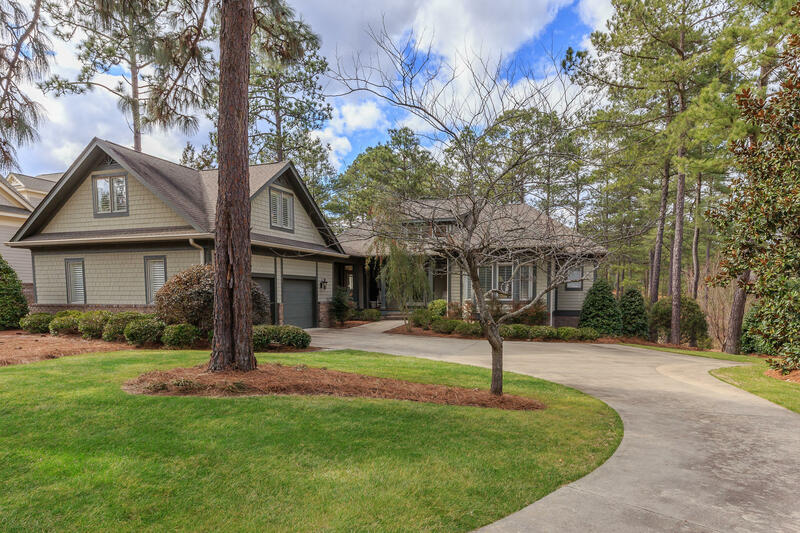 Enjoy the wonderful lifestyle that is Forest Creek Golf Club in this immaculate cottage with beautiful views of the 13th hole of the highly acclaimed North Course. Casually elegant living at it's finest. This tastefully appointed cottage is available with all furnishings and accessories outside of closing. The main level has beautiful maple hardwoods in all living areas except bedrooms on the main level. Lower walkout level features an additional living area, bar and game room, office, and two bedrooms and baths. There is also a detached coach house bedroom and bath over the garage for guest privacy that adds approx.550 sq.ft. to the posted living square footage.